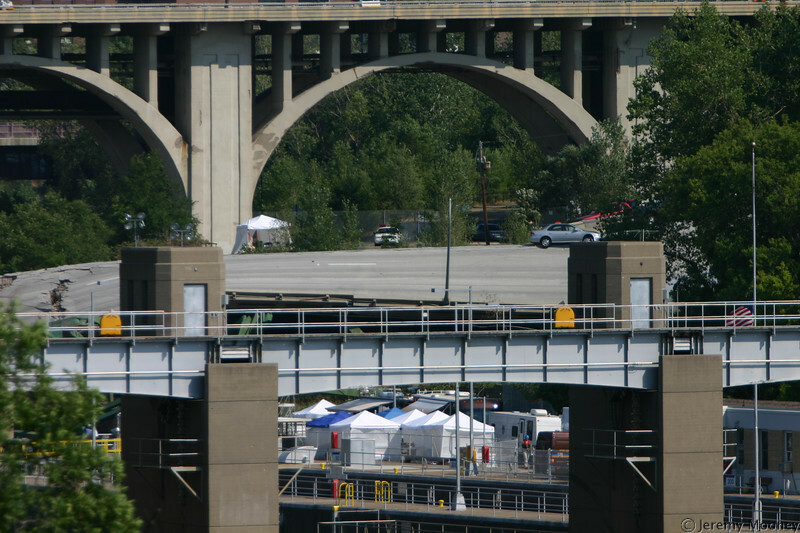 The bridge and surrounding area on August 9, 2007, just over a week after the August 1st collapse. Select the large picture to go into lightbox mode with a larger viewing size. While many pictures may look similar with the same primary objects, I think I've cleaned up true duplicates. Many are taken from different viewpoints, with different details visible.